The 61st National Awards ceremony will be held this evening. The presentation of the 61st National Film Awards for 2013 will be held at the Vigyan Bhavan in New Delhi today (3rd May). The event will reportedly commence at around 5.45 PM this evening. The evening could well be seen as a tribute to the late Balu Mahendra and his legacy. His student Ram and his Thanga Meengal team will lead the touring party of Tamil Nadu for three awards which include best child artist to Baby Sadhana and best lyrics to Na. Muthukumar along with its best film award. 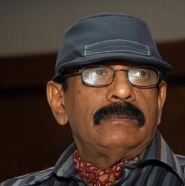 Balu Mahendra’s last film,Thalaimuraigal, will also be awarded with the Nargis Dutt Award for Best Feature Film on National Integration. The award will be received by his student M.Sasikumar, in the capacity of the film’s producer. Editor of the sports drama Vallinam, Sabu Joseph, will also be present to receive his first National Award. Behindwoods congratulates all the winners! Here’s The List Of Tamil Entries For The Feature Films Section Of 61st National Awards. People looking for online information on Balu mahendra, National awards will find this news story useful.